I am a new patient at Lakeview Smiles and I can honestly say that I enjoyed my first experience thoroughly from the front office staff, to the dental work. Every employee was very friendly and extremely knowledgeable. Just wait until you see the hi-tech equipment that they use. — Thomas W. Dr. Lee is great as usual! I came in with some tooth pain, and after the X-rays & CT scan, Dr. Lee came in and personally explained what could be the cause, and what the treatment plan options would be. I was assured that the pain would be gone by the time I left the office. Easily scheduled, and I was followed up with within the next week. Linda called me to check in and reassess. Though I was in pain, the visit was painless! — Desmond F. Dr. Lee & her team of dentists and dental assistants are the best! My family has been patients of Lakeview Smiles for years, and wouldn't even consider seeing another dentist in or outside of the area because of the great dental care received from Dr. Lee & her team! — John L. From my first visit with Lakeview Smiles, I have felt welcome and cared for. The staff has been a tremendous help in educating me regarding everyday preventative care for my teeth and overall oral health. I am so thankful to have found this office and to be under their care. — Leslie J. I like that the office is clean. The staff is professional and I also appreciate the feedback system they use. Parking is available on the street, which I appreciate as well. Finally, I appreciate that my proposed treatment plan was explained to me and that someone sat down with me right afterwards to discuss payment options. — Krystoff P. Thank you Lakeview Smiles! I cannot speak more highly of this dental practice. From the beautiful office, to the helpful and engaging staff and dentists–I am so impressed! This place is GREAT! — Hunter L. Dr. Lee is an excellent dentist. She uses up to date equipment and always manages to perform painless dentistry. She cares about her patients and follows up with them. I would highly recommend. My hygienist's name is Tiffany. Tiffany did an excellent job! She took all of the time she needed and did not rush. The procedures were pain-free, and I would recommend her as well. — Lee Z. I couldn't have gone to a better dentist's office than Lakeview Smiles! The nicest and friendliest staff that I've ever interacted with. I was scared of going at first and worried about having a new dentist. It was a great and pleasant experience throughout, and the fear was not needed. — Chris T. I had been interested in veneers for many years, and I consulted with Dr. Lee on what the process would look like. The whole experience was seamless–I consistently receive compliments on my bright smile, and it has truly boosted my self-esteem. I'd enthusiastically recommend Lakeview Smiles to anyone looking to improve their smile! — Patient I am so happy with my experience at Lakeview Smiles. They have so much cool technology that made my visit fast and painless. The service was very professional and accommodating. I will definitely be coming back! — Jared S.
At Lakeview Smiles we are proud to offer our patients comprehensive, multi-faceted dental care—you'll be amazed at how many of your dental needs we can meet in our conveniently located office. Our highly trained staff of Lakeview dentists includes general dentists, as well as an oral surgeon and a periodontist. In keeping with our treatment philosophy, our dental team treats patients' smiles with the most effective, and least invasive, dental treatments available. We are able to repair many damaged teeth using modern root canal therapy, and same-day CEREC® crowns. If you are currently suffering from tooth loss, our Lakeview dentists have a number of tooth replacement options from which you can choose. Using GALILEOS cone beam imaging, our dental team is able to place completed, stand-alone dental implants in just one appointment. Alternatively, you could choose to restore your smile with high-quality dentures, which are held in place by 4-5 dental implant roots. Ready to enhance the appearance of your smile? Discuss your options with our Lakeview dentist during your complimentary cosmetic consultation. Depending on your dental needs you may prefer porcelain LUMINEERS®/veneers, Invisalign®, cosmetic bonding, enamel/gum tissue contouring, or professional dental whitening treatments. 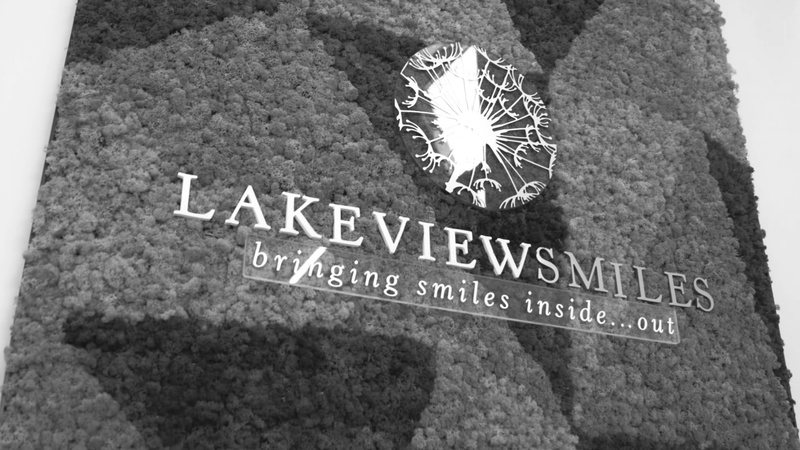 The Lakeview Smiles dental team will even help you visualize your potential post-treatment smile using digital imaging. Our Lakeview dentists also provide emergency dental treatment, as well as wisdom tooth extractions. Additionally, we are proud to offer effective, user-friendly treatments for temporomandibular joint dysfunction (TMJ/TMD) as well as sleep apnea. And patients with dental anxiety will be happy to know that we utilize both nitrous oxide and oral conscious sedation to keep our patients comfortable in the dentist's chair. Feel free to take a look around our informative website to get even more information about what our Lakeview dentists can do. And please know that you can always contact our dental team by calling (773) 993-1254, submitting an inquiry here, or stopping by the Lakeview Smiles office at 851 W Belmont Ave Chicago, IL 60657. Here's to a healthy, happy smile!